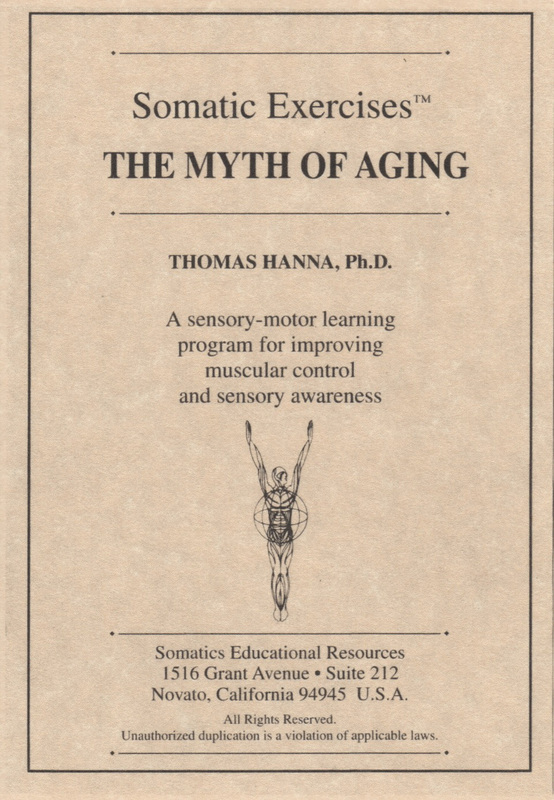 Somatics Catalog - Product Report: "#700"
The Myth of Aging: Somatic Exercises[tm] to Control Neuromuscular Stress A highly popular series of 8 lessons that is a major breakthrough in daily stress control. This tape series contains the 8 basic exercises that correspond with those given Hanna's landmark book, SOMATICS. For a demonstration of some of these exercises, use with the Unlocking Your Body video. Four 60-min. CD's.